Every show on HGTV ends with the glamor walk-through where the paint’s fresh and professional stagers have airlifted a lifestyle no one actually lives into place. Tears flow. Have you ever seen the revisit shows? They don’t show them too often because how people actually live is far, far from photogenic. Crimson walls and gold brocade curtains that are never a part of any staging plan. Monstrously large and cheap sofas. Banged-up walls. Junk everywhere. And if you’re the listing agent on one of these lived-in homes, dealing with sellers who think their dreck puts Architectural Digest to shame. It makes you want to shout, “Calgon, take me away”. 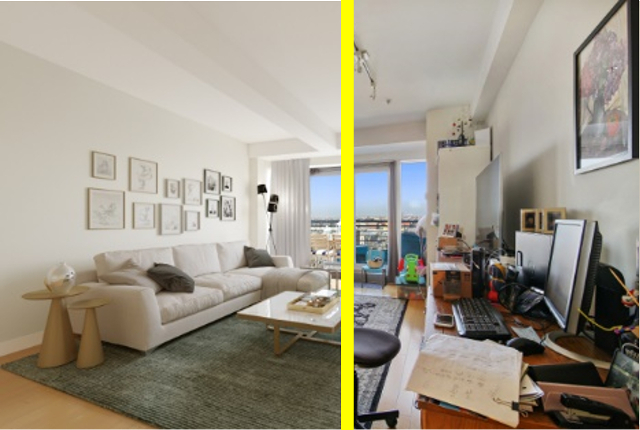 Enter virtual staging, where computer jockeys elevate good pictures into great marketing tools. Last week I wrote about a Turtle Creek high-rise listing shot by Epic Foto Group that used drones with remarkable effect. This time, we’re talking about enhancements that can be electronically done to listing photos. 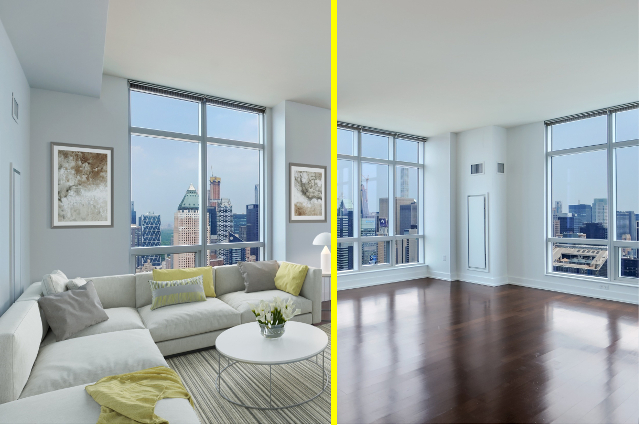 When I spoke with the Brian Balduf, CEO of Chicago-based VHT Studios, a nationwide real estate photography service, he described five distinct opportunities to enhance traditional listing pics.